Question about what explorer.exe is start to emerge to surface when more PC users encounter its error message to tell that something needs to shut down or something cannot be closed out. Due to the crazy Internet world which not only brings more surprise into people’s life but also virus nightmare, not a few PC users encountering explorer.exe application/runtime error consider the process is virus. Actually, explorer.exe refers to Windows program manager or resource manager, taking charge of graphic shells of Start menu, task bar, desktop and files. In other word, disabling the process will not show up the icons. It is nothing to do with Internet Explorer (the default browser). Below is its parameter to get some conclusive understanding of explorer.exe. Also it is advisable to finish this article written with answer to FAQs (in the conclusion section) as well as solutions to some commonly seen explorer.exe issues. Any help request will be answered promptly if you contact VilmaTech Online Support by pressing on the below live chat button. Multiple explorer.exe processes keep idling to consume CPU. More explorer.exe processes occur on Task Manager to employ limited internal resource. Freezes on both computer and browser can be caught in sight, leading to poor PC performance. By affecting explorer file under Window catalogue, ads (take savings bull ads related to Win32:BHO-ALX[Trj] for example) will be loaded when connection is made, which could lead to online game stealing or E-bank information loss. By faking explorer file, a virus manages to override the normal files, which could dodge automatic removal and thus illegal profit can be gained from account password stealing. By releasing vicious files resembling explorer.exe, such as iexplorer.exe, expiorer.exe and explore.exe in local disk, a virus manages to affect more running processes like svchost.exe to disable build-in security service and establish SMTP (Simple Mail Transfer Protocol) service for smooth stealing. It is sure that explorer.exe error issue should be fixed right away. Since there are so many causes to lead to the error, how to identify the reason? Please follow the instruction below in orders so as to find out the reason. Basic understanding on computing might not be sufficient to complete the procedure. On any occurrence of difficulty and confusion, it is wise to get one-to-one assistance by contacting VilmaTech Online Support so that no mistake would be made to cause unnecessary problems. Step1. close out some programs. Step2. scan system files for repair. Press and hold down Win key and R key at once to scan files with command “sfc/scannow”. If damage is found in explorer file, please copy the file from a healthy computer. Paste explorer file under the catalogue detected. Use Ctrl+Alt+Del/Ctrl+Shift+Esc key combination to open up Task Manager. Click on “File” and select “New Task” to put in “exporer.exe”. Bring up Run box from Start menu (All Apps for Windows 8 users) to put in “regsvr32 explorer.exe” and hit Enter key. Step3. locate the program that would not run properly when exploer.exe issue occurs. If you don’t mind replacing the software with another one, replace it. If you want to keep the program with its driver updated, restore to old version. If you haven’t update the corresponding driver, update it. 1. 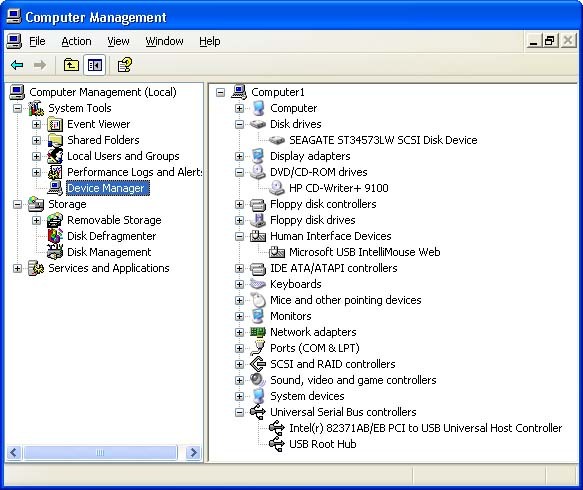 Access Control Panel (from “Unpin” menu for Windows8 users) to choose Performance and Maintenance link/ System and Security. 2. Next hit System icon near the bottom of the window to navigate to Hardware tab. 3. Then press on Device Manager button. 4. Use Device Manager to update the driver. Step4. end some verisimilar explorer.exe processes such as iexplorer.exe, expiorer.exe and explore.exe. If you don’t know how to differentiate the counterfeit from the genuine, please end them all in Task Manager. Hit “File” to select “New Task”. Press on “Browse” to select explorer.exe situated in C:WINDOWS. Step5. show hidden files and folders to remove vicious files including explorer. Access “user accounts and family safety” in Control Panel and open up ‘Folder Options’. Hit View tab to tick ‘Show hidden files and folders’ and non-tick ‘Hide protected operating system files (Recommended)’. Press OK button to show all hidden items. Open up any folder to View tab. Tick ‘File name extensions’ and ‘Hidden items’. Navigate to local disk and remove all explorer files there except the one(s) placed under C:\Windows. If one has virus in external devices, remove EXPLORER.EXE, autorun.inf and the executable files coming along with them. Step6. access DataBase to make rectifications. Before making rectifications and modifications, it is advisable to backup DataBase and take precautions. The computer will not go any worse even if mistake is made. Here’s the video to show how. Use Win+R key combination to bring up Run box and access DataBase with “regedit” command. Navigate to the following entry to delete EXPLORER.EXE and the executable file detected or related to virus. Navigate to the following entry to delete EXPLORER.EXE next to an executable file, such as userinit.exe,EXPLORER.EXE, as well as the comma. A: Explorer.exe is resource manager to show icons, files, task bar and desktop. It is a safe system process published by Microsoft. NO.2: Can explorer.exe be ended in Task Manager? A: Sure. Explorer.exe process is not imperative for operation. Ending it will not influence the normal work of a system. Creating new task (steps are shown in the instruction) will bring you back to desktop. 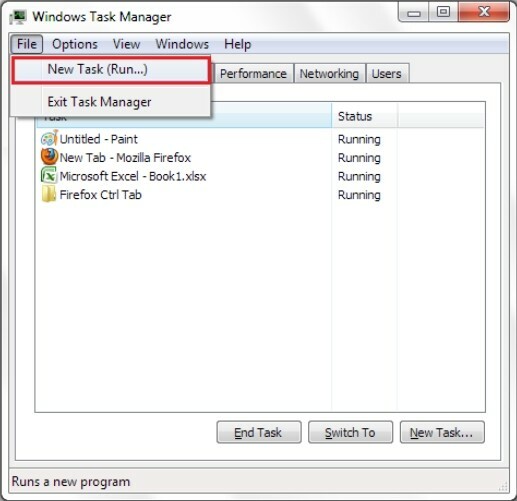 NO.3: How many explorer.exe processes are there in Task Manager in most cases? A: Generally speaking, there’s only one explorer.exe when Windows starts working. If you have multiple explorer.exe, you may have some elusive virus, Trojan Horse particularly. NO.4: Will replacing the affected explorer.exe file work to remove virus or stop affection? A: One should know that replacement of affected file could also result in secondary infections as no fix or repair has been made to thoroughly remove vicious codes (which is what most of anti-virus programs do). Besides, incompatibility could be aroused due to the discrepancy between system file version and operating system, which could bring to more system errors and vulnerability/loophole, making the computer become more susceptible to virus in the wild. Therefore, remove virus that causes explorer.exe error issues manually is highly recommended. Are you encountering some situations that are not stated in this article and having no idea on how to fix? Do you have questions in telling the fake and counterfeit explorer file apart? Do you have difficulty in digging out all vicious explorer.exe file and carrying out the given procedures? 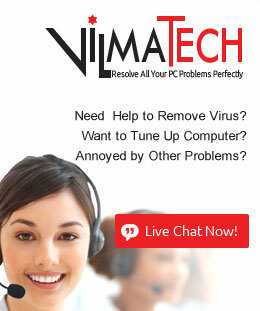 You can always gain specialized technical help by contacting VilmaTech Online Support operating 24/7/365.